Rafting Trip That Was Far Beyond My Expectations !!! 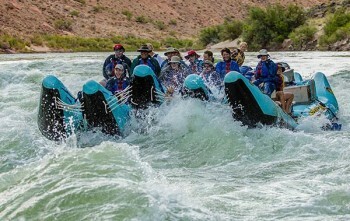 This Colorado River rafting trip was on my list and it did not disappoint. Western River Expeditions has the details down to a science. Every element of the trip was perfect. The river was clear all 188 miles. Lindsey, Parker, Corey and Daniel are exceptional. They brought the canyon and the trip to life for us. Frankly there are really no words to describe how great the trip was. It was one of those life experiences that can't be repeated although we are talking about going again. Great job !! !